As part of its suite of offerings Creative Cognicion provides personalised workplace coaching for both groups and individuals. We work with clients to assess need and co-design outcome driven interventions to meet these needs. Clients are assisted in the exploration and understanding of both complex workplace issues and interpersonal challenges. This includes helping our clients to understand the underlying emotional, cognitive and interpersonal issues that impact on their thinking and performance. We also assist in applying a range of thinking and problem solving techniques that empower clients to see and incorporate multiple perspectives and develop innovative action oriented solutions. A perfect example of how this might work was over a yum cha lunch as featured in another blog post. A real life problem was identified, issues worked through and different techniques applied to help the client develop innovative solutions. Furthermore, it was undertaken in a setting other then the workplace which served to stimulate the thinking and subsequent solution development. 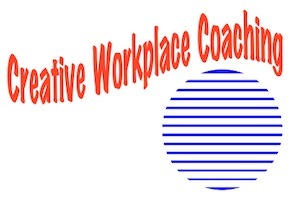 The workplace coaching service is offered to developing leaders both in an ongoing capacity and at more critical times in their working and personal lives. This has been successful in working with clients in health services, police and internationally including in times of change, transition and personal development. This entry was posted in Uncategorized and tagged coaching, cognitive, complexity, creative, innovate, leadership, perspectives, problem solving, thinking. Bookmark the permalink.